Anya Cordell grew up obsessed with appearance and beauty, which inspired her unlikely journey to combat all bias, including toward Muslims. A recipient of the Spirit of Anne Frank Award, she imagines Anne Frank, viewing today's Islamophobic culture. Note: A previous version of this piece appeared on the Huffington Post, titled "The Climate for Muslims, After the Boston Bombings". Tragically, this issue remains all-too-pertinent, with ever more attacks and assaults on innocents, incited by the increasing anti-Muslim drumbeat. "I'm Muslim, but no one here knows it." "Thank you so much for your program! I'm Muslim, but no one here knows it." This was whispered to me by a student, following a high school program I had just presented. I'm not Muslim, I'm Jewish. This confession sent chills down my spine, evoking the histories of when others felt compelled to secretly whisper: "I'm Jewish, but no one knows it". At another program, a father said, with deep sorrow: "Every day, my son asks, 'Daddy, why do we have to be Muslim?" It is heartbreaking to need to 'pass' to be safe, or to ask: "Why must I be Jewish, Catholic, Sikh, black, Latino or whatever we are?" because we feel shamed, bullied, or--worse--endangered to be ourselves. Our climate is rife with voices labeling various groups and members of those groups as "Other". Who is innocent and vulnerable, who is hurt or destroyed, when such labeling takes hold? My exploration of 'Otherness' started in front of a make-up mirror, as a teen obsessed with whether I met the fashion and beauty standards of the day. This dominant concern eventually led me on a journey I never imagined, to combat all stereotyping, bias, hatred and loss. My favorite uncle was commenting on an overweight man, across a hotel pool. Considering how much self-talk I had engaged in to convince myself to be seen in a swimsuit, visiting my California relatives, I absorbed this pronouncement in shame and silence, trying desperately to hold onto shreds of self-worth. This statement by a member of my fashion and beauty obsessed family epitomizes why I've devoted myself to efforts against what I call "appearance-ism," or appearance-based judgments of ourselves and others. On some level, I felt that my life is at stake, at least a life with any sense of worth and joy, in the 'imperfect' body I have. I've also discovered that appearance-ism is universal, something we've all experienced, and have all done to others, on some basis. Even great beauties are objectified in our culture. Almost everyone can relate to the injustice of judgments based on appearance, and thereby come to deeper understanding regarding other forms of bias. That became my mission: to teach what I most need to learn. It's taking me a long while, and I'm not done yet. The man at the pool could have been a cancer-curing scientist, but, apparently, that didn't matter in light of his fatal flaw. (To be fair, my uncle said he would kill himself, if he looked like this man. But I heard an indictment of the lack of worth of anyone not meeting the standard of appearance my family so greatly prized.) Although the man and I could have fixed ourselves up with diet, exercise, spray-on tans and liposuction, I often think of the ways in which we humans are--AS IS--the size, shape, color, configuration and ethnicity we naturally are, with which we need to make peace in order to walk in the world, not feeling we'd be better off hidden or even dead. Babies are born--as is--into families, with genetics, histories, heritage and, often, religion. They have no choice about most of that for a long time, if ever. Is it a crime to be born a particular color or into a particular culture or religion? Was it a capital offense to be born a Jew, at the time of the Holocaust? In essence, it was. Is it now the fault of every child born to a Muslim family to be what they simply are? How soon do we expect they should renounce or denounce their parents, and how are they to arrive at the supposed wisdom of this renunciation? Many pronouncements about "all Muslims" these days seem to hope that Muslims stop being Muslim or magically disappear. A so-called "expert" on Muslim affairs stated that getting rid of all Muslims isn't "practical", while inferring it is desirable. (Surely the world would then be almost perfect.) Fox News pundits and countless numbers of internet comments have suggested "killing all Muslims"--an unthinkable pronouncement, if any other group were substituted. There are assertions that Muslims who are simply living, supporting their families, and doing what most everyone on Earth does, are actually universally and daily concerned with hating, converting and killing others. If so, in their vast numbers, they would be achieving untold destruction throughout communities, universities, workplaces, etc., worldwide. Substitute "all Jews" for "all Muslims" to recall how terrifyingly incendiary this language is. Will those screaming the stereotypes take responsibility when people accept their cues and assume they have license to target innocent Muslims, "multi-culturalists", and others? Do they care how innocent people, even children, bear the brunt of the climate they incite? This question was answered when a perpetrator in Norway credited the Islamophobes who inspired him to massacre 77 victims, mostly "multi-cultural" students, in 2011. The hate and fear-mongers, who were named by the killer, did not acknowledge any responsibility; rather, they increased their vitriol. Donald Trump said of his anti-Muslim rhetoric: "I. Don't. Care." They are screaming to get elected, make fortunes selling books and speaking engagements, or affect policies. They. Don't. Care...regarding consequences. We should ask Muslim-bashers "Then what?" after every pronouncement, and push them to follow their vision further down the path. After our culture makes it clear that we abhor all Muslims, then what? After we've pronounced that all who are born Muslim, that all who call themselves Muslim, (we don't bother to differentiate between a very few, and all), are unwelcome in our midst, then what? After we've made it clear that unless they cease to be themselves, they don't deserve to be at all, then what? After Muslims worldwide, many of whom have themselves been victims of extremism, terrorism, and destruction, who include the so-called "collateral damage" of our drone strikes, or who are displaced by destabilization which we have incited, and who are then turned away when they flee for their lives; when they have absorbed progressive shock waves of hatred and condemnation, and after some of them internalize the trauma, and respond, then what? If even a single traumatized, marginalized person responds with an act of terror, how do attacks on innocent Muslims make the world safer, rather than more volatile, if retribution ricochets and escalates with every round? We are on a precipice, looking over the edge. Humans have stood on this precipice before, when people were willing--or were manipulated--to push others, many others, over the edge. Those perpetrators of 9/11--claiming to be Muslim, perpetrators of the Boston and Paris bombings, of beheadings, etc. were at this precipice. They were willing to rationalize that their innocent victims and the sanctity of their loved ones were worth sacrificing for some bigger vision. They didn't care about the particulars of the individuals, even of Muslims, they destroyed. It was irrelevant to them whether their targets were doctors, scientists, artists, children, or extraordinarily good individuals. Terrorists calling themselves Muslim are thoughtless of the consequences of their actions, including sparking backlash or vigilanteism toward all Muslims, worldwide. Actually, they desire this. Similarly, those currently shouting diatribes and smears are untroubled by resulting attacks on innocent Muslims, Sikhs and others; untroubled by their own destructive, destabilizing impact upon the culture at large. There are many who desire vast conflagration on a global scale. To assess what politicians and pundits really feel, note their palpable glee, rather than grief, when they recount horrific details of atrocities for which they can blame Muslims. Muslim-smearing politicians and pundits are an excellent recruiting tool for terrorists who claim to be Muslim. But if perpetrators of despicable acts, who claim to be Muslim, believe some crisis requires them to act unquestioningly and viciously; how does frantic generalizing, inciting hatred, and lashing out at innocent Muslims in return, contradict horrific suffering? Shouldn't everyone stand against and condemn attacks upon innocents; whoever the perpetrator, whoever the victim? 'White guys' have perpetrated genocide; have committed destruction. There are far too many, including Norway terrorist, Anders Breivik; Jared Loughner, who wounded Congresswoman Gabrielle Giffords and killed others; uncounted hooded Klansmen; Jim Jones; Oklahoma Federal Building bomber, Timothy McVeigh. Benjamin Smith, a white supremacist, targeting "mud races," killed a black father, Ricky Byrdsong, and a Korean student, Won Joon Yoon, in 1999. Frank Roque murdered an innocent Sikh man, Balbir Singh Sodhi, on Sept. 15, 2001, because Roque was out to "kill the ragheads". Mark Stroman murdered two innocent men, a Muslim, Waqar Hassan, and a Hindu, Vasudev Patel, and blinded Rais Bhuiyan, after 9/11. Stroman claimed he was a patriot, doing what others wished to do, if they had his "nerve". In 2012, Wade Page committed mass murder of Sikhs in their house of worship in Wisconsin. Craig Hicks murdered three exceptional Muslim young adults, in cold blood, in Chapel Hill, NC, in 2015. Through my work, I came to know the families or loved ones of some of these victims; black, Korean, Hindu, Sikh, Coptic Christian, and Muslim, who all responded to these horrific tragedies with extraordinary dignity and grace. I know their "ground zeros" and how the exigencies of daily public life reclaimed the locales where their lives shattered into pieces. No public memorials mark these venues as hallowed. Rather, in spite of what they and their loved ones suffered, those who survived became living testaments to enduring faith in human goodness. These families asked for nothing beyond putting one foot in front of the other, moving sadly forward from unspeakable tragedy, and standing against hate and vengeance. Rana Sodhi dedicated himself to fighting hate after losing two brothers, both killed for wearing turbans, an article of the Sikh faith. Rais Bhuiyan, a Muslim victim left for dead and blinded in one eye, made a mission of fighting against the death penalty for the man who had hoped to take his life. The family of a Coptic Christian Egyptian man, killed in post 9/11 hate, suffered the tragic irony that he had brought them to the US for greater religious tolerance, and was murdered here, by a hate-fueled white guy, (as cruelly and irrationally as were Coptic Christian victims of ISIS, in brutal executions we appropriately deplore). In response to these acts of terrorism there aren't wholesale smears of white males, because 'white privilege' includes the right to be viewed as individuals. Admitted murderer, Craig Hicks, doesn't represent all atheists; Anders Breivik doesn't represent all Christians. Numerous hateful perpetrators of violence identify as Christian, as there are atrocities committed by self-identified Muslims. But our culture responds distinctly, depending on the religion and color of the perpetrators. Islam is often impugned as a monolithic religion, to which all its adherents uniformly adhere. Is any religion an identically shared belief? Judging from disagreements in every family, organization and religion--sects within sects, differences of interpretation and practice--how can we ascribe unanimity of belief to the Muslim fifth of the world's population? Are all Jews and Christians in accord with every cherry-picked stricture of the Old and New Testaments, as the Quran is now selectively quoted and misquoted as supposed proof of every Muslim's flawed makeup? Muslims won't simply disappear. So what do we expect will come of the mass disdain toward them, sometimes chillingly characterized as the "Muslim problem"--all too resonant with the "Jewish problem", an expression that presaged genocide. Muslims, above all, grieve each horrific tragedy, in particular, those perpetrated by self-professed Muslims. They grieve because they are decent human beings. Additionally, they feel constant suspicion and hatred as they try to live their lives while absorbing the shame and blame now heaped upon all Muslims, worldwide. They are damned for whatever they do or don't do. And they are afraid, as was the student who whispered his covert status: "I'm Muslim, but no one here knows it." The anti-Muslim drumbeat impacts vast numbers of innocent Muslims, Sikhs, Hindus, Arabs, South Asians and others. What Muslim parents don't now fear for their children, or themselves? What Muslim children have not experienced taunts or worse, rapidly on the rise? Folks who despair when their children are teased and bullied, accept and repeat despicable slurs, reverberating through our culture. Muslim women must consider whether headscarves make them a target, and consider 'passing' to be safe. Many bravely defy fear. Sikh males, courageously wearing turbans, have experienced murder and mayhem perpetrated by those who believe they are Muslim, or who simply view them as guiltily foreign. Innocent, good people, living constructive, productive lives, are smeared, harassed and assaulted. This would be deplored if Jewish men were compelled to hide their yarmulkes to feel safe, and if those Jewish women who cover their heads for modesty, as some Muslim women do, were in fear to wear their preferred religious garb. I have felt compelled to stand up against people being attacked, even murdered, on the basis of snap judgments. I've reached out to the families of people I didn't know, across the country, and I've spoken and written about their losses. What Would Anne Frank Say? What should we do about those reaping money, power or votes, soaking the culture with incendiary vitriol, requiring a single spark to become a conflagration? I imagine what Anne Frank would say about 'passing' to be safe, and of what happens when generalizations and stereotypes are carried to their conclusions. I believe she would remind us that people screaming something does not make it true. She would denounce leaders legitimizing bias, and cuing one another that this is in accord with the tenor of the time. I believe she would decry the power of propaganda, and would point out the tremendous disparity between the Nazi stereotypes of Jews, and real Jews, like her, who were destroyed. 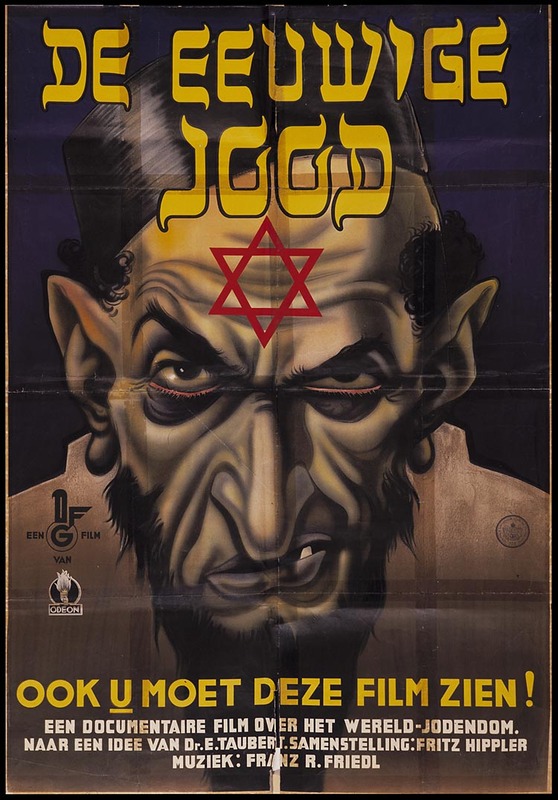 The classic Nazi caricature of the "Ugly Jew" has particular impact for me, compared to any photo of Anne. Having started my journey consumed with matters of beauty and acceptance, I am struck by how successfully demagogues implant the most extreme of mass false viewpoints, and also how the characterizing of groups as ugly is inherent to 'Otherizing', and is a consistent element of genocide. Anne would certainly beg us to be allies for those who are not our ethnicity, our religion, our 'tribe'--as the non-Jewish friends who supported her family in hiding took extraordinary risks to be her ally. I believe she would exhort people who have never met a Muslim to befriend and be curious about who our Muslim neighbors, coworkers, classmates and community members are. I believe she would work passionately, and implore us, to prevent the destruction of all innocent victims of hate. "I believe that people are really good at heart". "Growing up in America has been such a blessing...although in some ways I do stand out, such as the hijab I wear on my head...There are still so many ways that I feel so embedded in the fabric that is our culture. That's the beautiful thing here...There's so many different people from so many different places, backgrounds and religions, but here we're all one, one culture." I can imagine Anne and Yusor as friends and I pray that their dignity and their beliefs ultimately defy what befell them, and move us closer to their visions. If Anne, Yusor, and vast numbers of others could, they would surely warn of, and beg us to stand firm against, a very slippery, very dangerous slope, and would remind us what happens next, and next, and next, as an all too familiar progression unfolds incrementally but inexorably--the progression that starts with offhand remarks, then stereotypes, then slurs, then diatribes, then what? We should have a clear understanding of such a progression by now, hopefully, not one we will only fully and remorsefully grasp later, from a left-behind diary of an innocent Muslim adolescent, who simply desired to walk in the world safely and openly. Anya Cordell is a speaker, writer, activist. She is a recipient of the Spirit of Anne Frank Award, bestowed by The Anne Frank Center USA, and author of RACE: An OPEN & SHUT Case which unravels presumptions of what we call "race"; named among the "books to change your life" by N'Digo Magazine. She has passionately countered post-9/11 hate-backlash against Muslims, Sikhs, Hindus, and others. Articles include "Would You Let a Muslim Save Your Life? ", "Sikhs Bearing Pizza", and "Hate Speech Against Muslims Incites Violence".